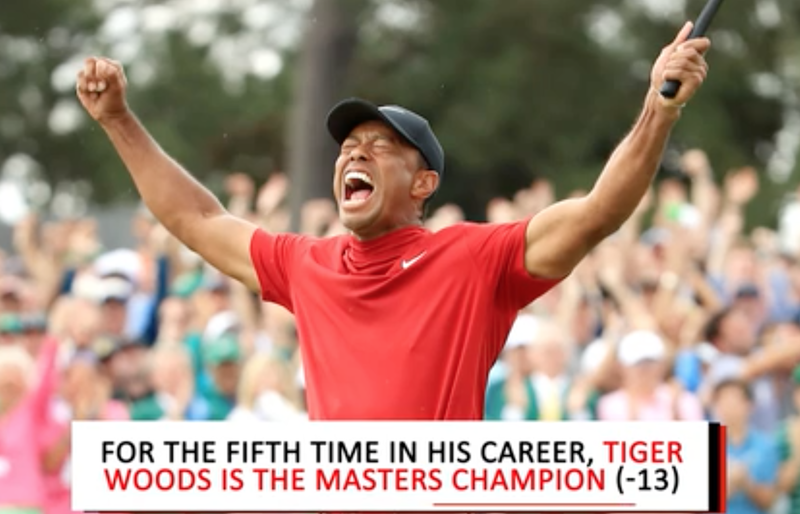 would have been, on the original schedule, approaching Amen Corner. 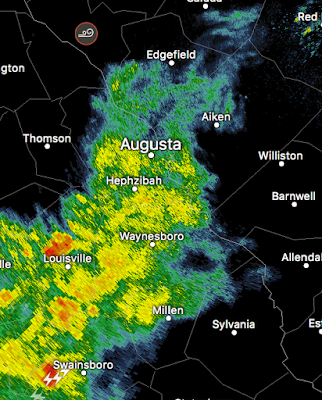 See the little "swirl" symbol NNW of Augusta? That is a report of wind damage from a possible tornado while play was wrapping up. 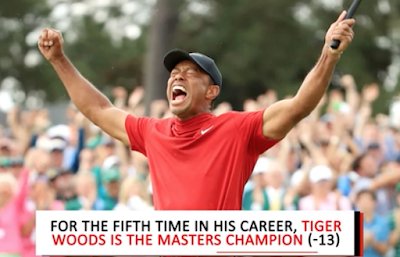 So, congratulations to Tiger Woods and to the meteorologists and the Augusta National officials who took their forecast seriously. Yet, even with this success, there were still unhappy people. Above is a sample (from the Atlanta Journal-Constitution) of irate tweets due to coverage of a tornado warning in the northeast part of the Atlanta metro. I went back and looked at the data and it is below. Focus on the circled area northeast of Stone Mountain. On the left is the reflectivity data (the type you usually see on TV) and on the right is the Doppler wind data. The wind data clearly shows a "couplet" that is generally associated with a tornado. And, there were power lines and trees downed but we don't yet know whether it was a tornado or straight winds generated by the thunderstorm. Regardless, there was a real safety threat here. Since I have not seen the coverage, I don't know whether it was excessive. Given the fact there were at least two storm fatalities in Texas yesterday and one in Mississippi around 4am this morning, I don't blame the meteorologist(s) for wanting to provide the best information in a timely manner. I understand they did eventually go to a split screen which is a good solution.